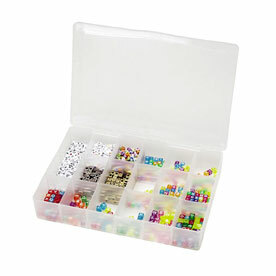 These are high quality flat head tacks. 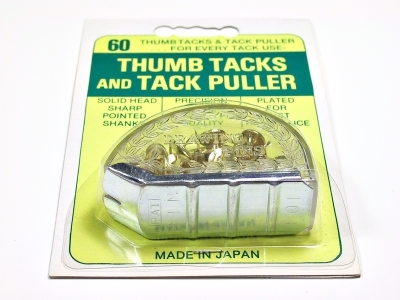 They are packaged in a plastic case that doubles as a tack puller. 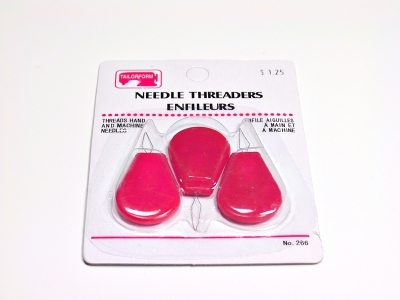 Needle threaders – plastic, 3 in a pack. 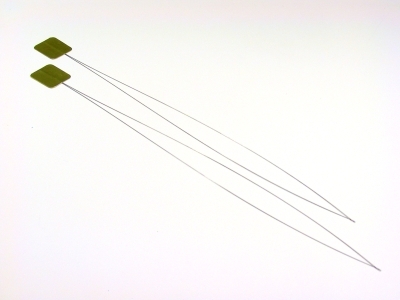 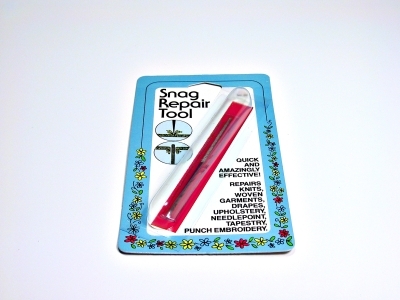 Needle Threaders – long, 2 in a pack.